The Mr S Leather store party – Folsom Edition was as fun as ever and packed with guys looking for just the right look for Magnitude on Saturday night and the Folsom Street Fair on Sunday. To see the rest of photos, click here. 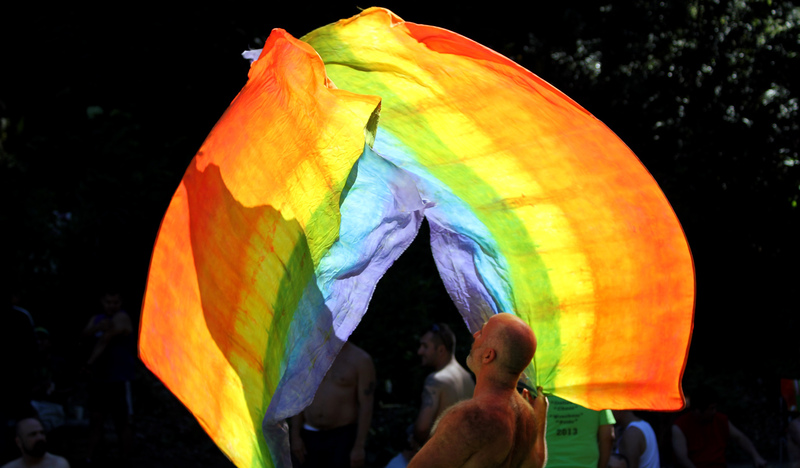 Under sunny skies, San Francisco’s flow art community gathered for Flagging in the Park in The National Aids Memorial Grove in Golden Gate Park. It was a great day to be outdoors with some seriously talented folks and their beautiful flags. In addition, the guys who make really big soap bubbles were doing their magic and creating a wonderland for the kids of all ages. Enjoy the color and motion. For a slide show follow this link. To see a video of the action, click here.